is a researcher in the department of zoology at the University of Oxford. His current work is focused on how birds learn concepts and process information. Earlier this year, in a warehouse in south London, I watched as a pair of pyjama-clad musicians tried to entertain an audience of two placidly disinterested pigs. Of the human performers, one wielded a double-bass, while the other sang in short bursts. They resorted to pizzicato, falsetto, even an abrupt interruption by the director, who tried to course-correct the flagging display. The porcine spectators were unmoved. In the study of animal behaviour, researchers usually try to smooth out individual differences by looking at large data sets. But this performance, staged as part of the Making Nature exhibition at the Wellcome Collection in London, turned that method on its head. The characteristic dispositions of pig-kind were not on display; the two pigs and their particular responses were. The humans were invited to indulge the idiosyncrasies of their fellow creatures, and to wonder if we could ever understand what makes them tick. When it comes to humans, we readily turn a scientific lens on the individual. While demography looks at whole societies and sub-populations, psychology attends to individual minds. Because humans can talk and account for themselves, we have rich descriptions of the kind of creatures we are, all the way from species to groups to families to individuals. With other animals, though, it’s impossible to attain this level of insight. A lab rat will never be able to describe its neuroses to us from the comfort of a tiny chaise longue. But it’s important to maintain a scientific distinction between probability and possibility – the difference between what can be expected of an animal drawn from a particular population, and what a single creature might be capable of when stretched to its limits. For example, in a lab in Oxford in 2002, a New Caledonian crow named Betty bent a piece of wire into a hook to reach an otherwise inaccessible pot of food. She could do this consistently but, being an individual crow, Betty did not, in herself, demonstrate that any New Caledonian crow will make hooks when necessary. Alone, she suggested that some can make hooks in certain situations. 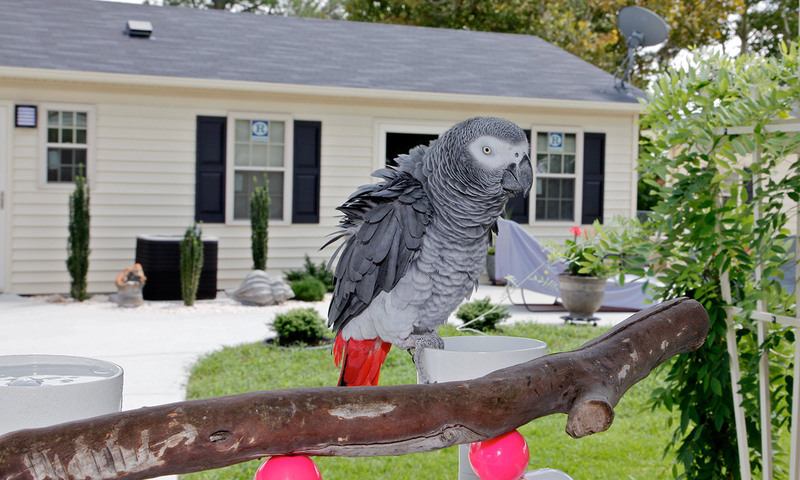 Researchers expressed similar misgivings about the language skills of Alex, an African Grey parrot who was trained for three decades by the American animal researcher Irene Pepperberg. Alex was able to construct novel phrases from words he’d learnt in other contexts, and could deploy concepts and numbers meaningfully. While the research was applauded as an impressive example of one animal’s learning, it was also criticised for dealing with only one bird. As it happens, Betty and Alex did not turn out to be one-off marvels; other members of their species showed similar levels of progress. But even if these birds had been singular prodigies, their existence would tell us something about crows and parrots that a large sample size might not. The distinction between these domains of knowledge need not be controversial. In 2012, for example, a male Goffin’s cockatoo in a lab in Vienna, Figaro, used a short stick to reach through a mesh cage for a nut. He went on to demonstrate that ability several more times, and to teach it to cockatoos observing him. In general, it’s still true to say that Goffin’s cockatoos do not use tools. But Figaro’s behaviour absolutely happens – the capability exists, even if it’s not activated very often – and seems to be available to other members of the species, even if they haven’t innovated it for themselves. Is it possible to move from an individual case study to the full-blown investigation of animal personality? If specific animals perform tasks differently from one other, but consistent with their own past performance, perhaps we can identify those patterns as a kind of proto-personality. A good example is the bold/shy paradigm: some creatures are audacious, and approach new objects or behaviours readily; some are timid, and more reluctant to engage. In one example from 2004, individual fish known as three-spined sticklebacks were shown to feed and grow at different rates according to how bravely they returned to a meal after a simulated predator attack. Evolutionary theory and mathematical modelling provide a possible explanation for such differences: variable behaviour in a population is an adaptive advantage and gives you a better shot at survival. Bold fish can take the risk of mating earlier, while shy ones might wait – with the upshot that each group can commit to a strategy and try to optimise its trade-offs. More daring studies have attempted to apply the psychological understanding of personality in humans to other creatures – an approach that’s fascinating, if less convincing. The word ‘personality’ reveals the problem: the ‘person’ is a human-fitted concept, and of limited use in explaining the internal motivations of animals. Still, being able to describe consistent patterns of behaviour within an individual helps us to capture and understand the variation that big samples try to smooth out. It also improves the conclusions of those large experiments. Instead of pointing to outliers or noise in the data and saying ‘thankfully our sample size overcame this messiness’, we can look at the underlying cause of that messiness. Case studies, animal personality, and exceptional individuals all help us see the different layers of truth that live within our generalisations.